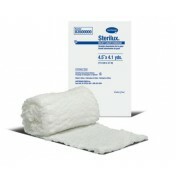 Hartmann 56810000 Sterilux 2 x 2 Inch Gauze Sponge 8 Ply is an absorbent gauze sponge that users can unfold in order to create more bandage area without damaging or fraying the existing material. Made with cotton, the sponge is highly absorbent thanks to the 8-ply thickness and comes in a square shape to make it easier to cover spot-sized wounds or other types of abrasions. 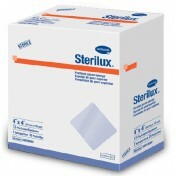 The gauze comes in a single box and are not individually wrapped. 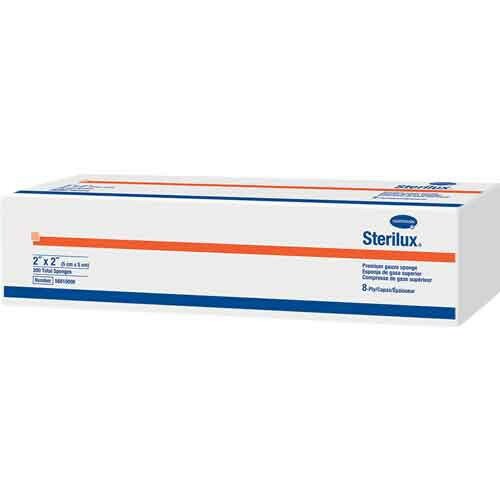 The Sterilux sponge is great for mid-to-heavy exudating spot wounds and can be used in combination with other wrappings for added security. 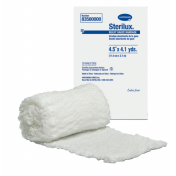 The sponges can be used as a wound dressing, debriding of wounds, wound packing, covering, swabbing and other general wound care.